Investigation into the causes of international conflict has in many ways formed the central locus of the early work in the scientific investigation of world politics. This edited volume contains the most recent quantitative work in this area, reflecting the current state of the field in the topics addressed, the data utilized and the methods employed. The book is divided into three parts, presenting first some recent contributions to the work on the causes of international conflict, set in the context of realist theories. 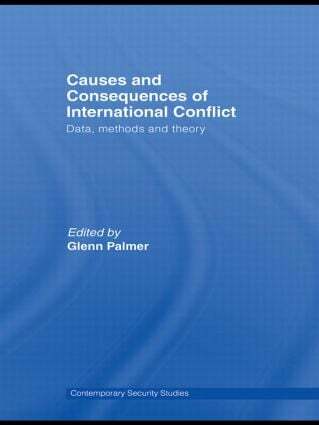 The second part addresses issues relating to data, methods and cases used to analyze international conflict, while the third part presents some examples of the use of a variety of different methods to answer questions relating to issues which engage international relations scholars today. The chapters focus on a variety of pertinent topics, and include discussions of important innovations in our ability to analyze conflict, such as the introduction of the Militarized Interstate Dispute (MID) data. Was Leo Durocher right? Do “nice states” finish last? Negotiations, guns, and money: do constrained leaders do better?